New to Talk Amongst Yourselves? Jump in and say hello! This is the Graveyard Shift—the after (or during) work, collection of books. It’s hosted by Kotaku’s reader-run blog, so feel free to order up and join the discussion! When you’re done here, check out the Forest of Knowledge articles at TAY or the indie store TAYClassic! Or if this is your first time at TAY, check out this TAYtorial! What’s up peeps? I’m sure most of you are out exploring the wastes, and I’m here at work (as of your reading this) so I’ll be in and out as usual. So we all read here and there, whether your job requires large amounts of it, you read in games, books, manga, comics or other, we consume fair amounts of media. 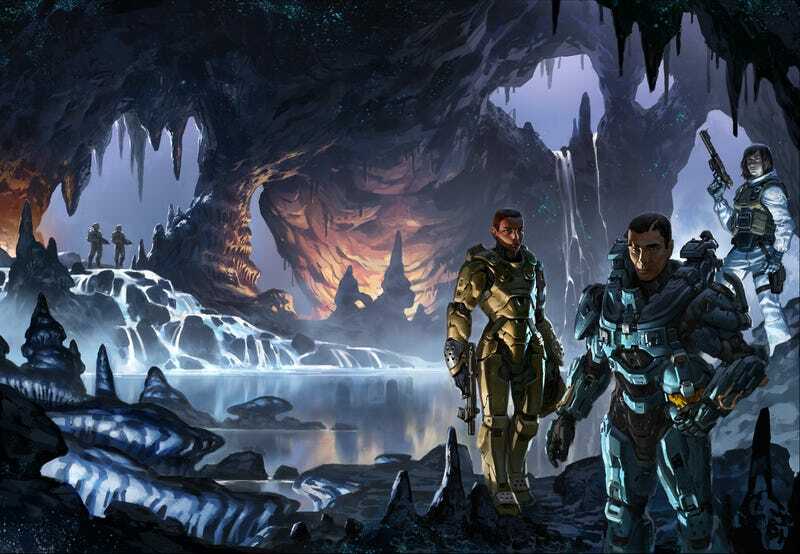 I’ve been reading through Halo: Last Light, which I believe takes place sometime before Halo 5 and follows Blue team (mostly Fred) on a mission to hunt for a Forerunner AI. I’m about 4 chapters and an epilogue away from finishing it. I enjoy novels that help flesh out other aspects of video game worlds like this since you get to experience or see things that you might otherwise not in the games. So my question to you all is: What are some of your favorite novels/comics/etc that expand on a series you enjoy? Don’t really have any? Talk about anything you want!